Naturally nutritious, crunchy and delicious, Great British apples are one of the nation’s best loved fruit. 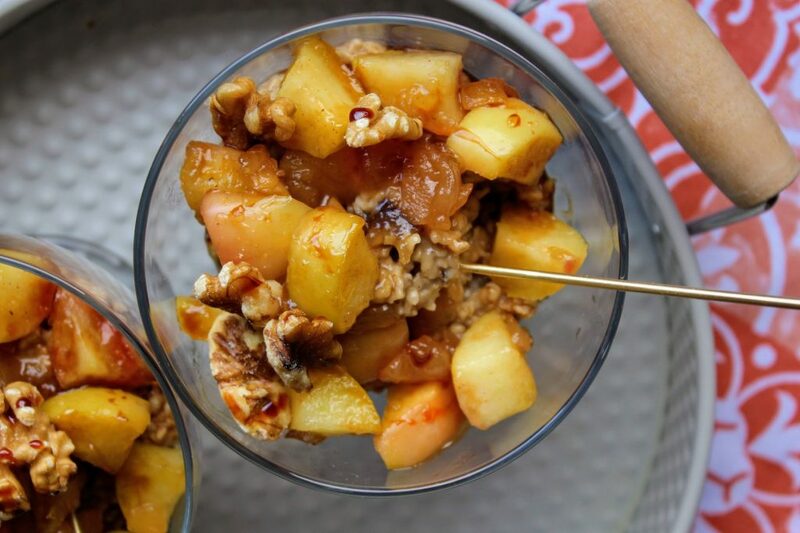 Whether cooking up a storm or looking for a wholesome snack on the go, there’s an apple for every occasion – which is why it’s great to collaborate with Great British Apples and share the love for one of my favourite fruits! I’ve eaten an apple a day for as long as I can remember; it has to be cold an crunchy, not too tart or sweet, either Royal Gala or Braeburn. 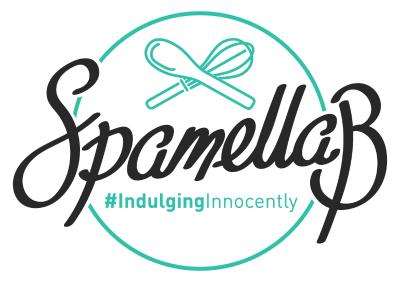 On it’s own, chopped up and served with yogurt, baked with a crumble on top or added to a recipe… The list is endless. Coupled with that, it was great to receive a new apple-based product from St Dalfour, a traditional French recipe sweetened only with vineyard ripened grape and fruit juice concentrates to create a delicious 100% fruit spread. 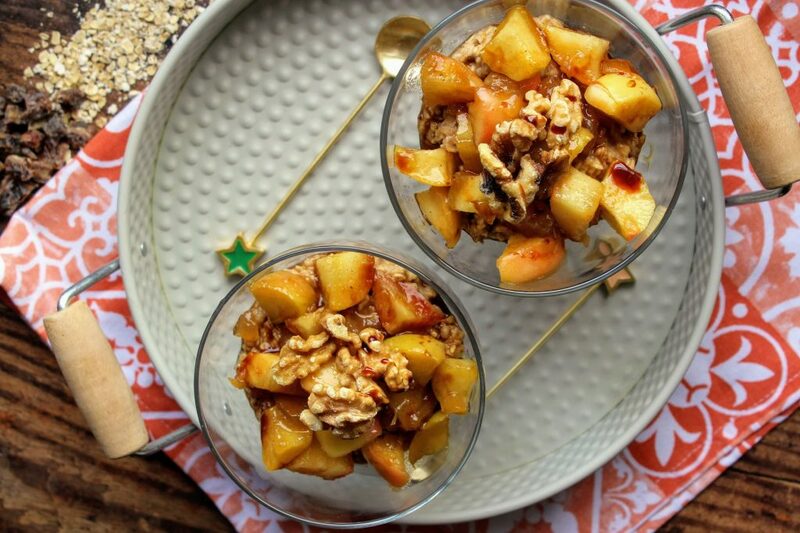 Celebrating apples together with the perfect partner – cinnamon – plus dates, oats and walnuts, this breakfast recipe makes a special start to the day. Make the porridge: Place the oats, dates and cinnamon in a pan and pour in the milk. Bring to the boil and simmer for 4-5 minutes, stirring regularly, until thickened. Stir in the maple syrup and set aside to cool a little. 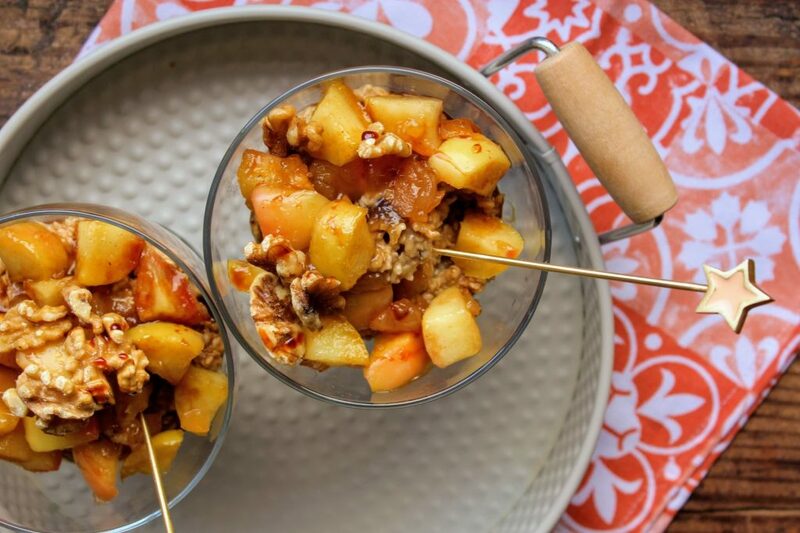 Place the apples in another small pan with the spread and cook for 4-5 minutes until softened and caramelised. 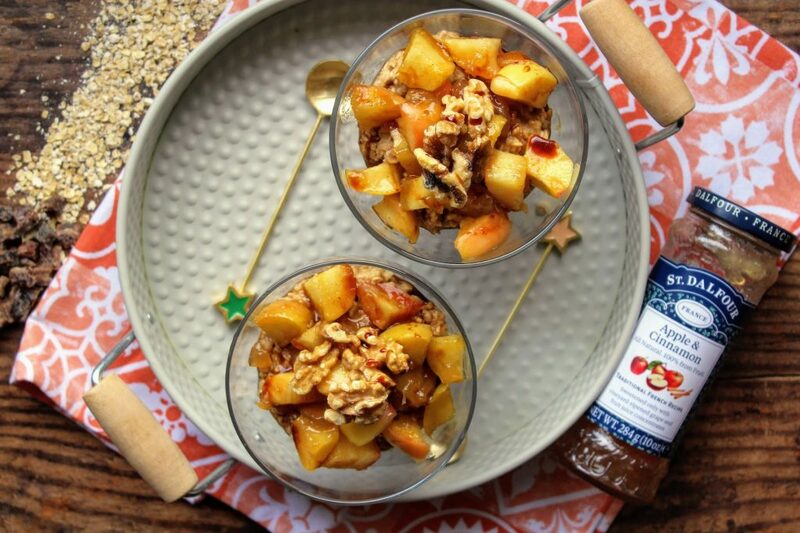 Divide the porridge between two bowls, spoon over half the apples, sprinkle over some walnuts and drizzle over date nectar – then enjoy! 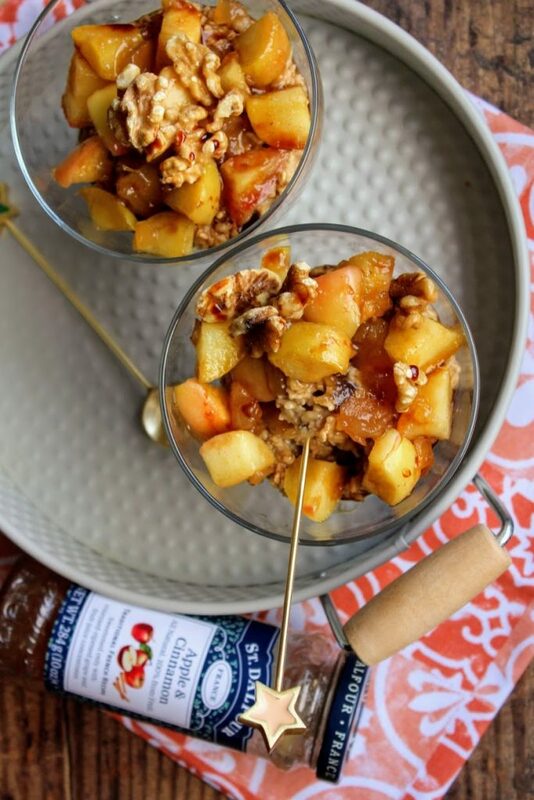 Note: If you can’t get your hands on the spread, place the apples in a pan with 1 teaspoon coconut oil, 1 tablespoon maple syrup and 1/2 teaspoon cinnamon and cook for 5 minutes.